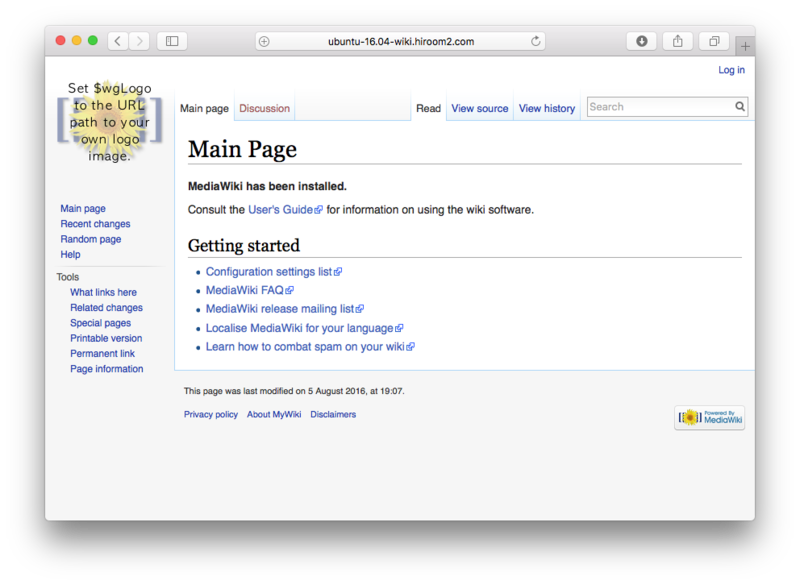 The mediawiki in Ubuntu 16.04 is removed on 2016/8. 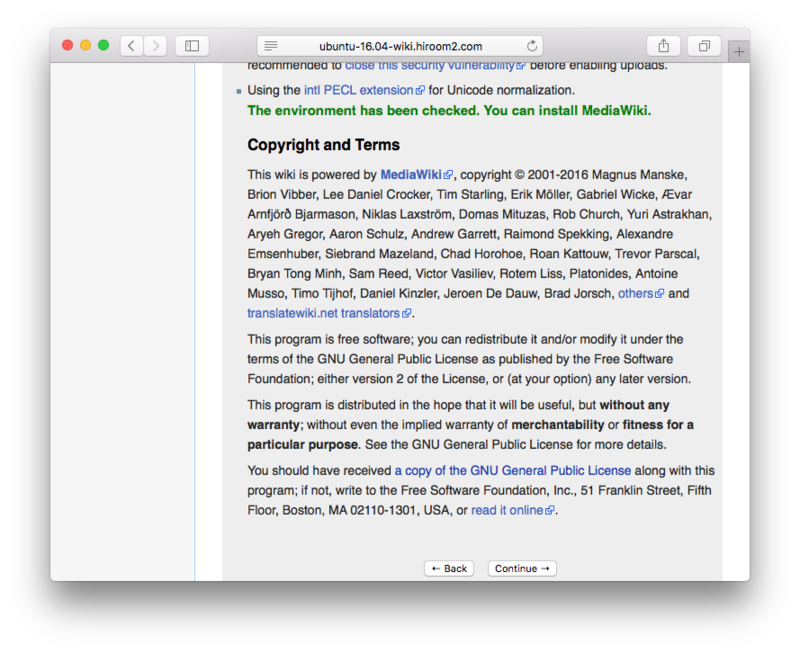 Newer mediawiki is added in Ubuntu 16.10. 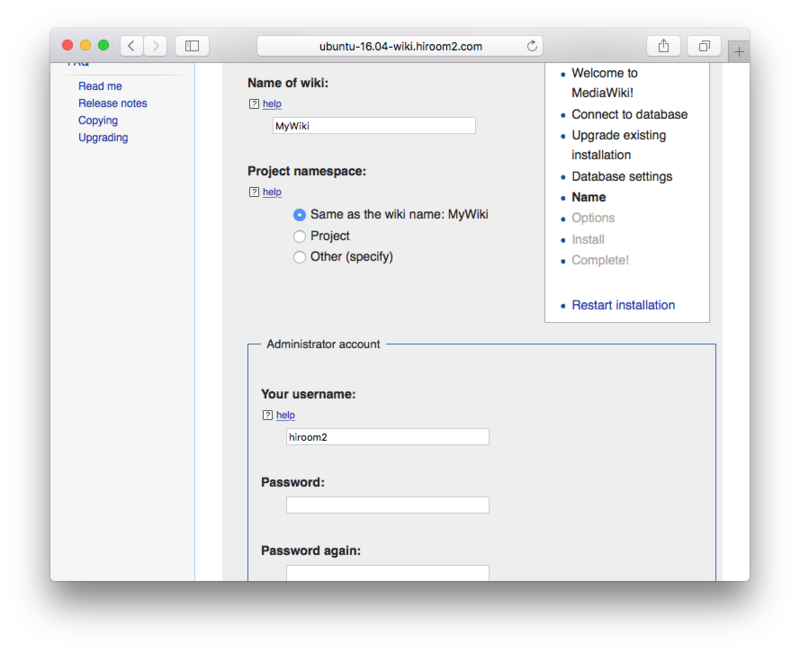 This article will describe porting newer mediawiki from Ubuntu 16.10 to Ubuntu 16.04. 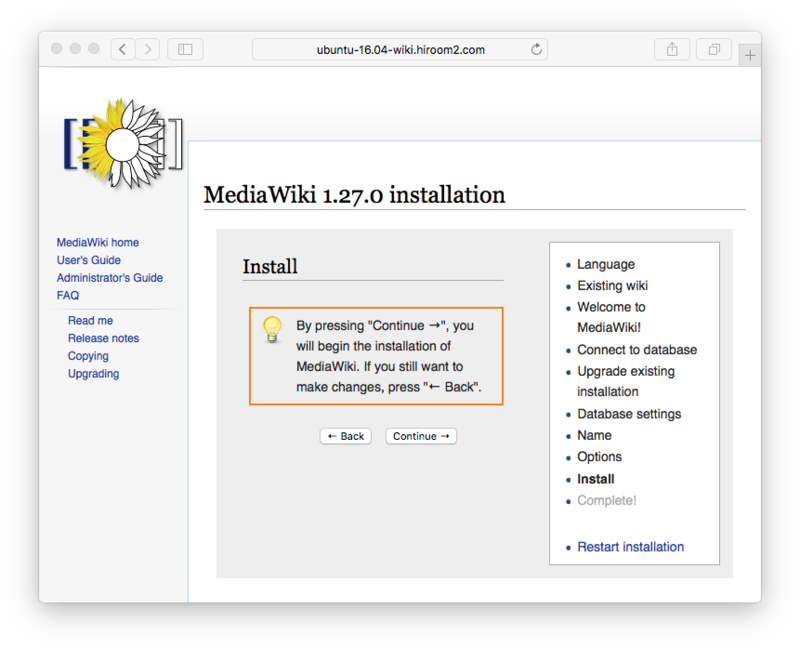 Download mediawiki source code in Ubuntu 16.10. 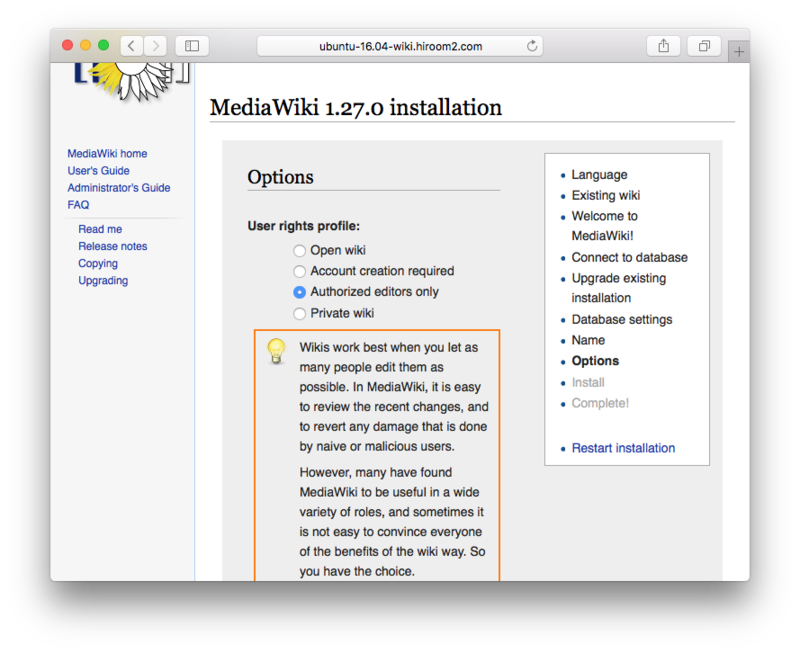 Since the version of mediawiki may change due to the update of Ubuntu, check here and change VERSION and RELEASE. 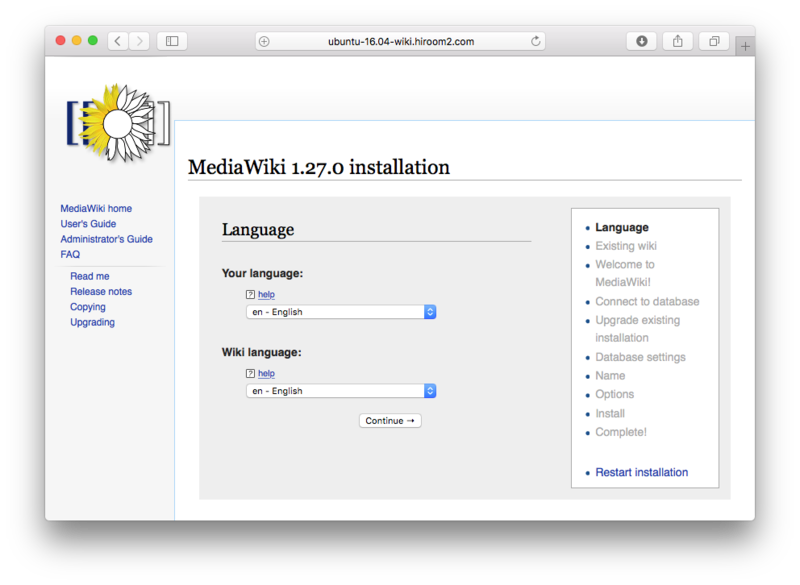 Install packages for building mediawiki. Change PHP5 to PHP7 in devscript. 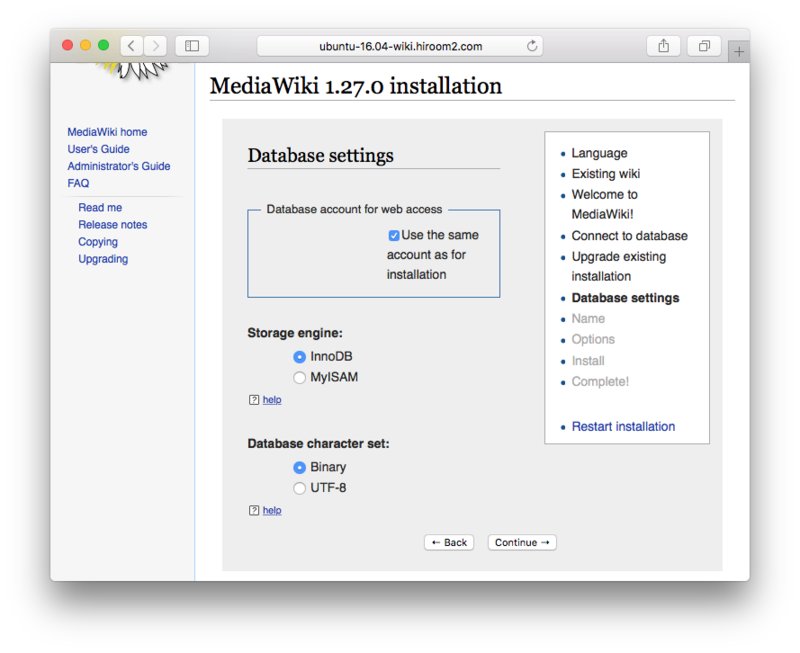 Install mediawiki deb file with installing depends package. 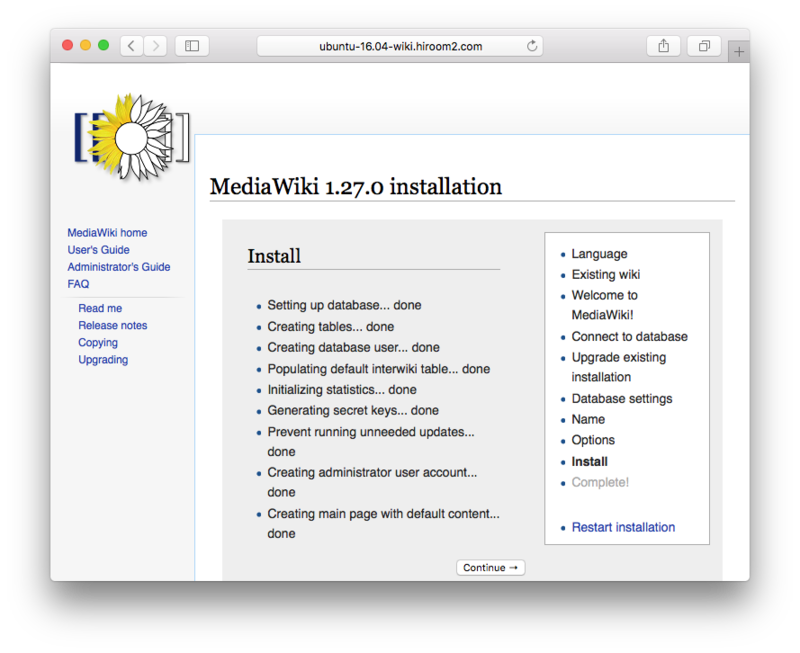 Install packages required by mediawiki. Click "set up the wiki". 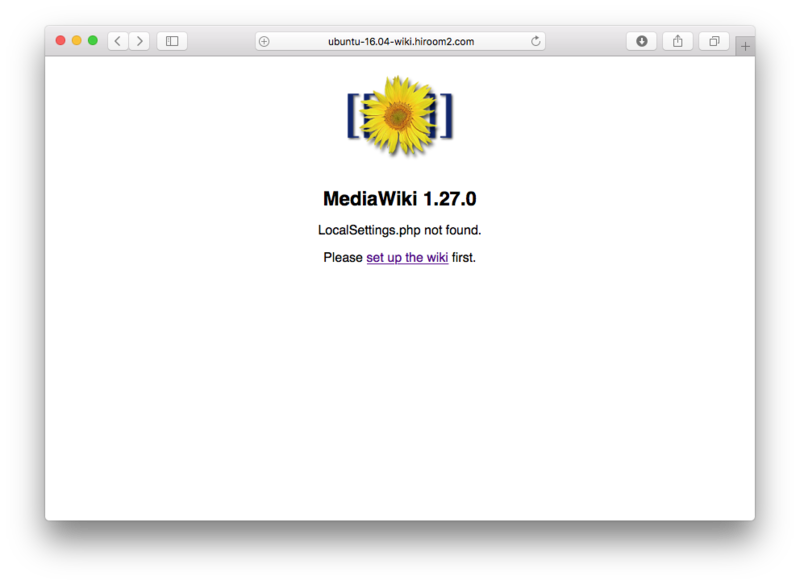 Improvements about mediawiki are displayed. 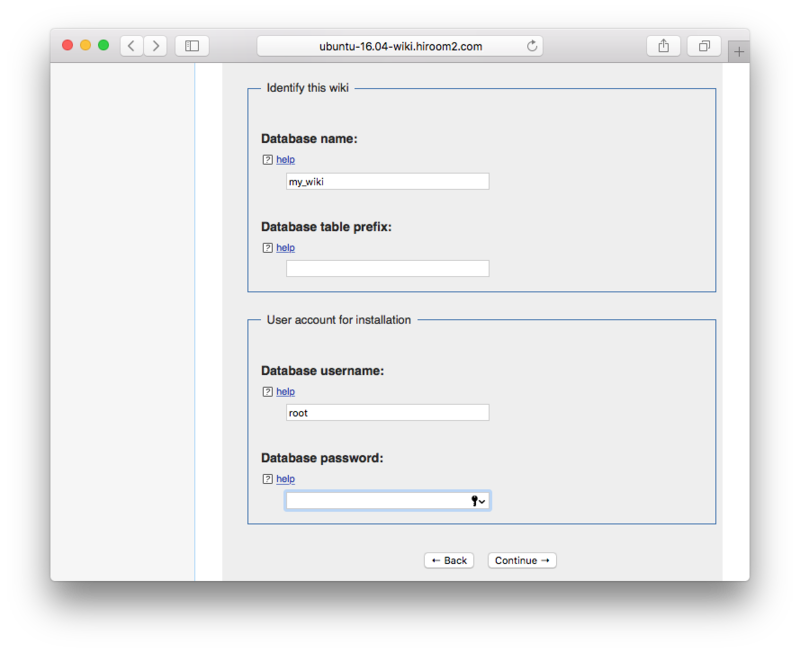 Select MySQL and input MySQL password. Input Wiki name and add admin user. Select access control list to Wiki. This article will use "Authorized editors only" which allow authorized user to write and allow public user to read. 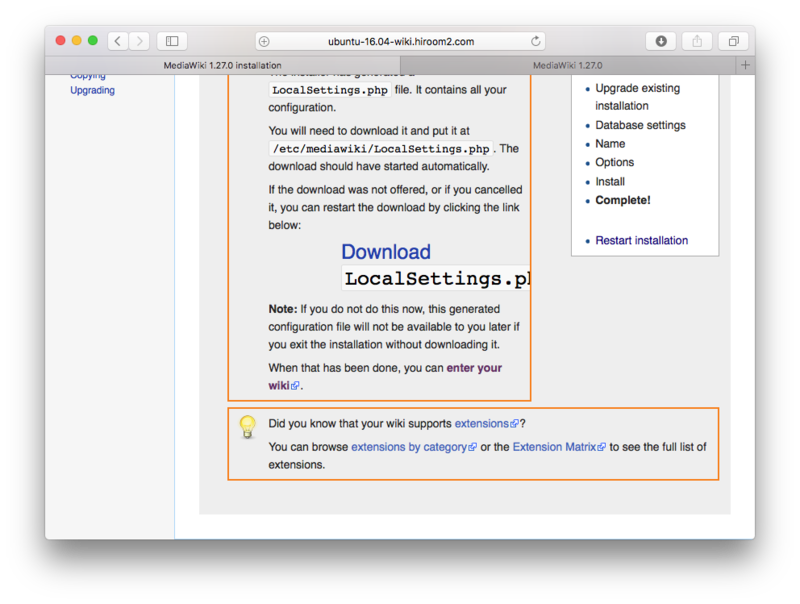 Download LocalSetting.php and copy to /etc/mediawiki manually. Accessing the previous URL with browser will display Main page.